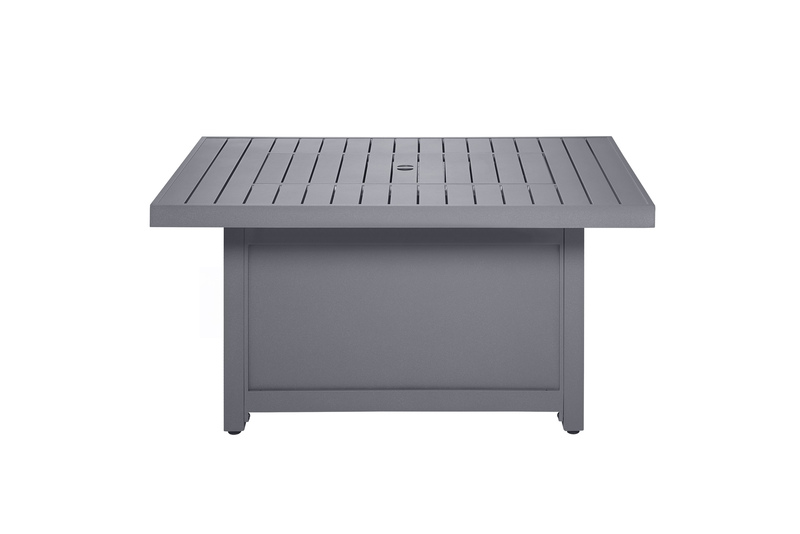 A stylish linear design sets the Napoleon Hamptons Rectangle Patioflame® Table apart from the rest. The beachy – outdoors feel of the lines, and driftwood color match any décor. Gather round and relax in front of the beautiful dancing flames. 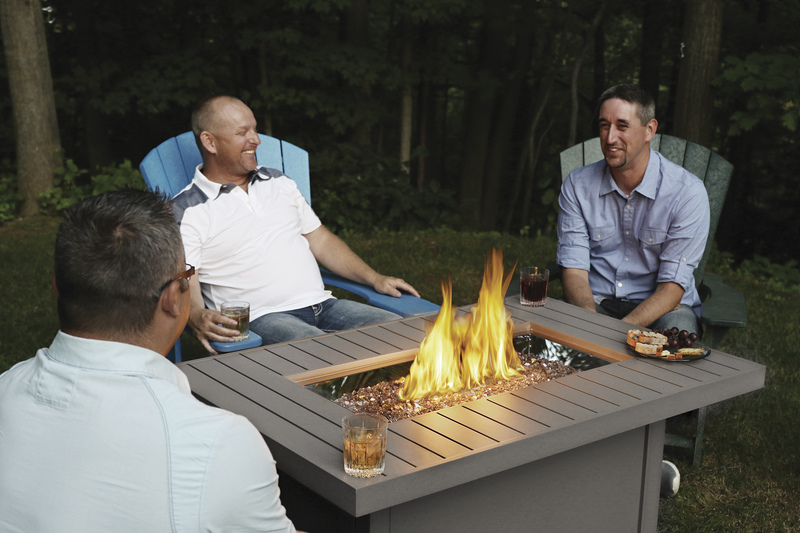 Safe and fuel efficient, the Hamptons Rectangle Patioflame® Table features a thermocouple valve that cuts the gas when flame is interrupted, meaning that if a gust blows the flame out, or you forget to shut the gas when you’re done, no gas will be wasted. The beautifully constructed, durable, aluminum surround conveniently hides a gas tank (propane models). Never worry about the weather, drainage holes in the burner pan allow the rain to drain away, and the optional windscreen will protect the flames from the wind. Set your drinks down, converse in comfort and enjoy your outdoor living space. 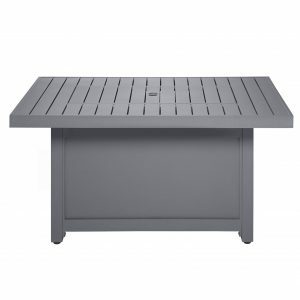 Easily convert your Hamptons Patioflame® Table into a fully functioning table with the included matching cover. 40,000 BTUs.